Sarah and Stuart would like to help make the memories of your wedding extra special. 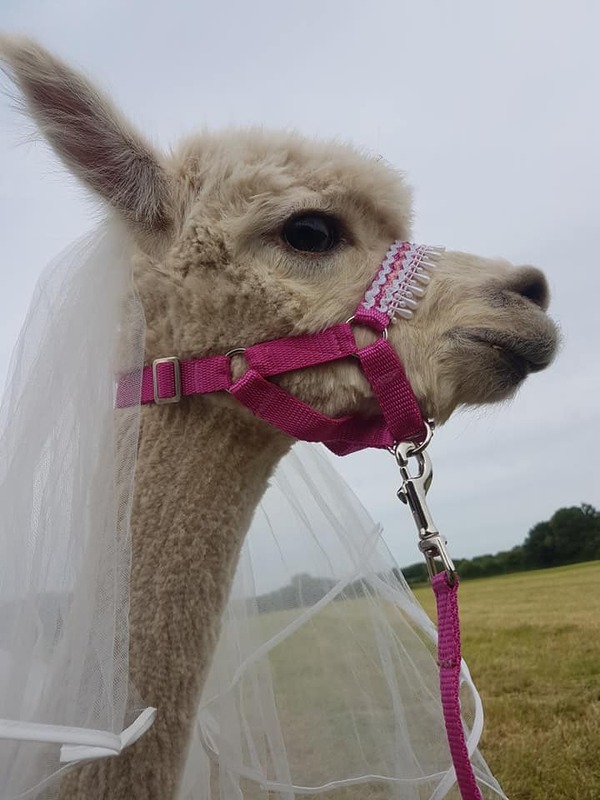 We invite you to come and meet our show winning animals so you can witness their friendly approacable personalities and get a feeling for how they will enhance your big day. These enchanting animals will add that extra sparkle to your photos and their relaxed charater will add an extra charm to the atmosphere of your day. Our alpacas are friendly relaxed and very well behaved around people as they are handle and introduced to the public every day at the farm. We offer a Wedding packages that we have designed to suit most wedding sizes, venues and budget. If you have any special requests we will do our very best to accommodate them so please do ask or discuss on your free visit. A perfect addition to your celebration . We will arrive at your location and guide our alpacas amongst your guest for plenty of petting and all important selfies. 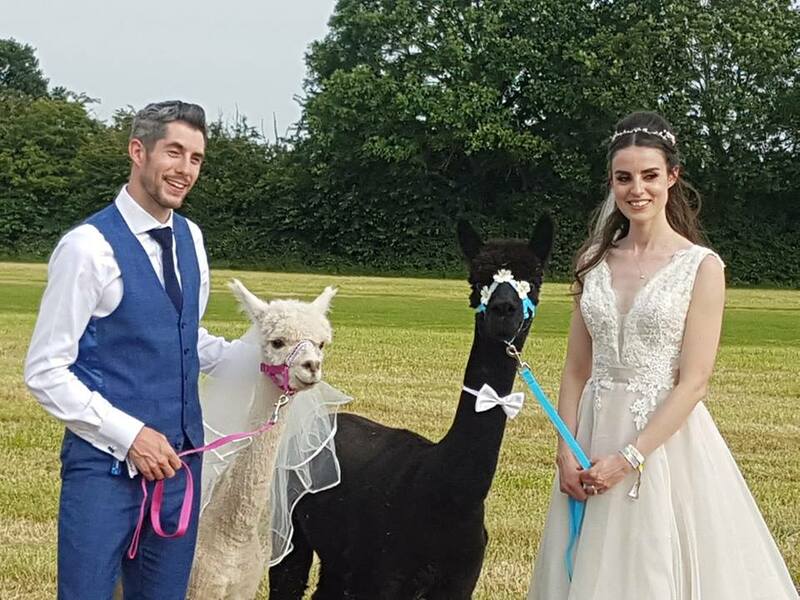 We will then get the alpacas into position for the formal photos as required.